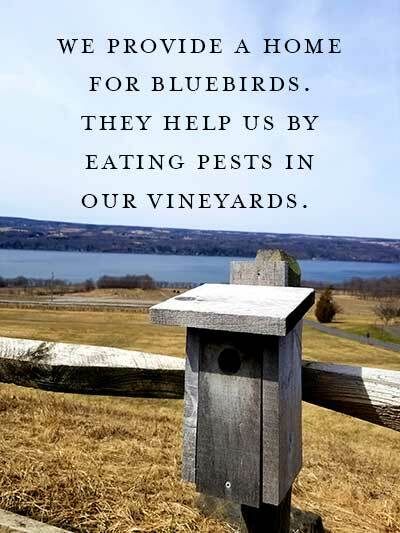 It's so exciting to hear the sweet warbling sounds of the Eastern Bluebird as we welcome spring to the vineyards! The official bird of New York State is one of the first birds to return north each spring and we welcome them back with nesting boxes throughout our property. These boxes provide shelter, and in return, the Bluebirds help us with pest control. It's a real win-win and part of a commitment to managing our vineyards in a sustainable fashion. It's such a busy time for us in April. We are experiencing fairly typical weather patterns and the vines are looking good. With a little under three acres left to prune we've switched gears a bit to focus on repairing and replacing broken posts. We need to make sure our trellises are tight and strong enough to carry the weight of the crop. There's only a short window to get this done because the next step in vine prep is literally tying the canes to the wires. Ideally this should be accomplished by the beginning of May when we expect bud break. If we don’t have the canes tied down by then, we'll have to slow down so we don’t break off the tender shoots. We wrap the canes along the wires and secure them with twist ties (like the bread bag ones, but paper coated). This helps to spread the growth out along the trellis so we get as much sunshine and airflow to the fruit as possible to help with disease prevention and ripening. 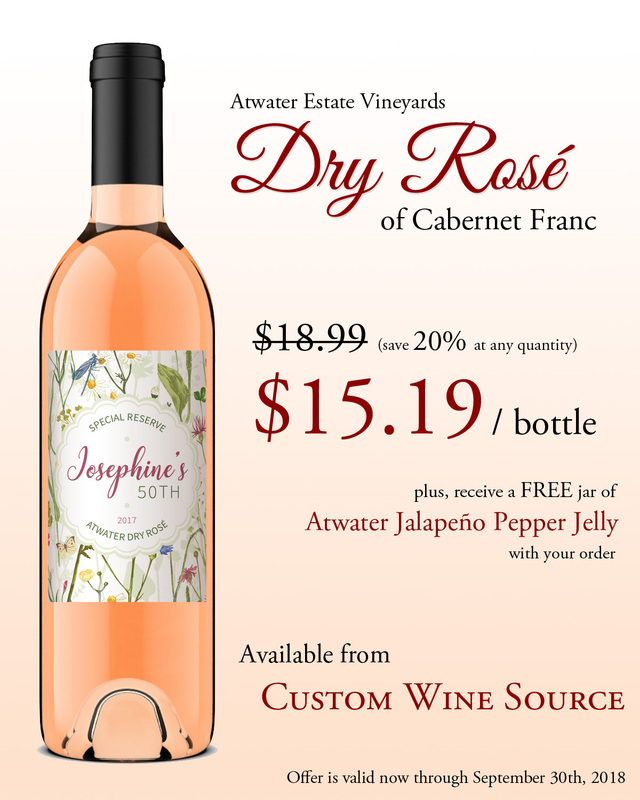 Spring season ushers in our newest Rosé wine. It's back! 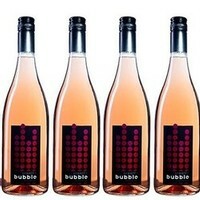 Our Bubble Pinot Noir Rosé has been bottled and is for sale in the tasting room and on our website. We've doubled production on this popular wine this year, hope you get a chance to try some. 2016 Gewürztraminer/Chardonnay - Skin Fermented "orange wine" with a sleek new label. IT'S CASE CLUB PARTY TIME! Join us for our annual "Party on the Lawn," June 15th. Tickets are available now! 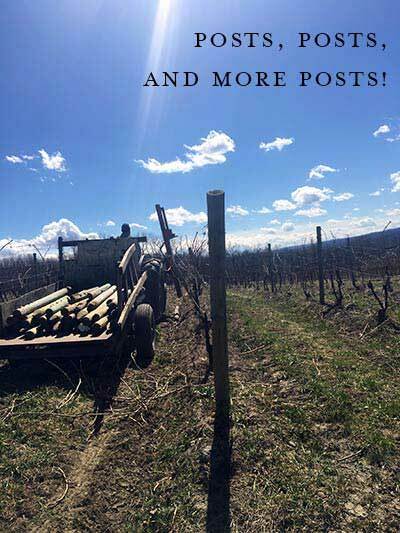 Meet the winemakers, try new release wines and revisit some of our cellared library vintages. 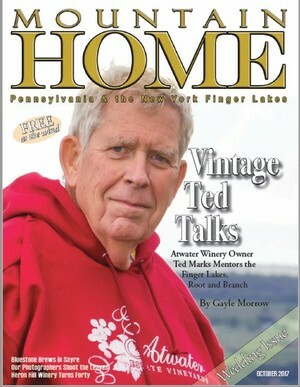 Purchase online, in person or call 800-331-7323. Club members, remember to order early for $5 discount per ticket. Club members may purchase tickets for guests. Party date is June 15 from 5:00-sunset. Hawaiian themed menu by Lake Country Catering. Original Rockabilly / Americana Music from Aaron Lipp and the Slacktones. 25% off case purchases of all wines!!! Saturday, April 27 - Burn's Dog Pound Food Truck will be parked here for the day. Hot dogs, nachos, fries etc. "Come Fetch A Dog"
Thursday, May 23 - Atwater After Hours - Join us on the deck! Celebrate the start of the summer season with wine by the glass and small snacks from 5:00 until sunset. Note: we will be open Thursday-Sunday evenings from this date through Columbus Day weekend in October for After Hours. Sunday, May 26th - The Vineyard Table with Red Dove Tavern. Tickets sold here. Thank you Kristy for your kind review. It was so nice to meet you. We concur with your picks. VINNY: I am not sure I would consider having a personal winemaking philosophy per se but rather a dogged determination to do what is necessary to make sure the precious cargo I am in charge of handling is properly nurtured and inevitably steered toward a life of consequence. To summarize, I tend to pick a bit early, sort when necessary, instigate fermentations, gas head space, top barrels religiously, eschew fining and sterile filter only when necessary. Build your label by adding a company logo, a favorite photo, or just type in text and chooe your favorite colors for a completely customized look. Personalized wine makes a beautiful, unique wine gift or can be used to add a special touch to your private wine collection. 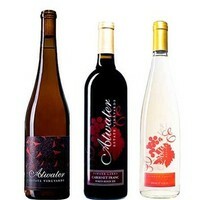 Personalized wine is also perfect for special occasions and celebrations such as weddings, anniversaries, parties, grand openings, and as corporate wine gifts. Get in on the Rosé Special Now. Savings end September 30. WINEMAKING NOTES: Fermented separately in stainless steel, we blend the two after many trials with different tanks and blends arriving with this final blend in December 2016. Aged together for six months before bottling. TASTING NOTES: Pronounced “ree-verts”, this unique combination of Riesling and Gewürztraminer marries two of Atwater’s favorite varieties. It’s tremendously fragrant, with a flamboyant aroma that recalls roses, lychee nuts and spices like clove and allspice. 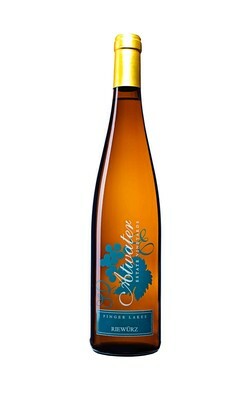 The delicate finish melds into soft flavors of apricot and lime. Starts as a Riesling, finishes as a Gewürztraminer. wonderfully with ethnic foods, prawns roast pork, autumn vegetables and blue cheeses. Congratulations to all winners of categories and to Keuka Spring Vineyards for taking the Governor’s Cup for their 2017 Gewürztraminer! 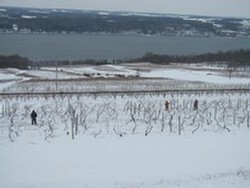 A quiet and slower time of the year in the Finger Lakes, winter is a great time to visit us. You can spend quality time with our staff learning about the vineyards, the region and just what goes into making a great bottle of wine. We appreciate the visit and mention in NY travel guide Escape Brooklyn. 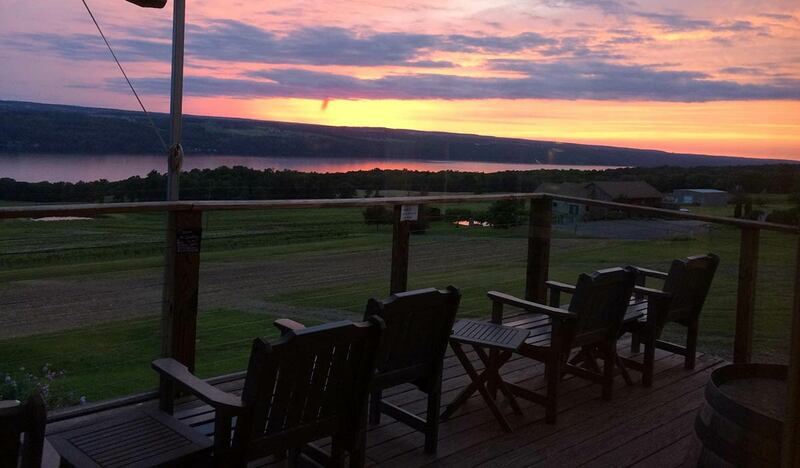 "Atwater Vineyards is yet another marvelous winery, whose location overlooks Seneca Lake. 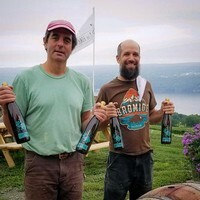 Atwater’s winemakers Vinny and George are very experimental in their production process, resulting in dynamic wines from over a dozen varieties, including Riesling, Gewürztraminer, Pinot Noir and Cabernet Franc". our winery and other hospitality businesses in the surrounding area are very excited and looking forward to TBEX North America 2018 -September 10-11. Influential travel professionals from all over the world will visit and share their experiences. We are ready #myflxtbex to welcome you. TBEX is the largest conference and networking event for travel bloggers, online travel journalists, new media content creators, travel brands and industry professionals and attracts 600-800 delegates from around the world. Story and video are linked to the picture below. 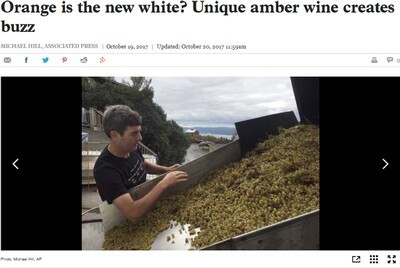 You can purchase our skin fermented "orange wines" here.